You are a swimmer like no other and you need a look like no other. Meet the Tornado Burst of Light Men’s Jammers! This midnight black look features a bold burst of while hot light in rich shades of azure, cobalt, cerulean, indigo along with a splash of golden yellow under a bold Tornado logo down the leg with an understated logo at the front. Trust us, guys, you have never seen a look like this! 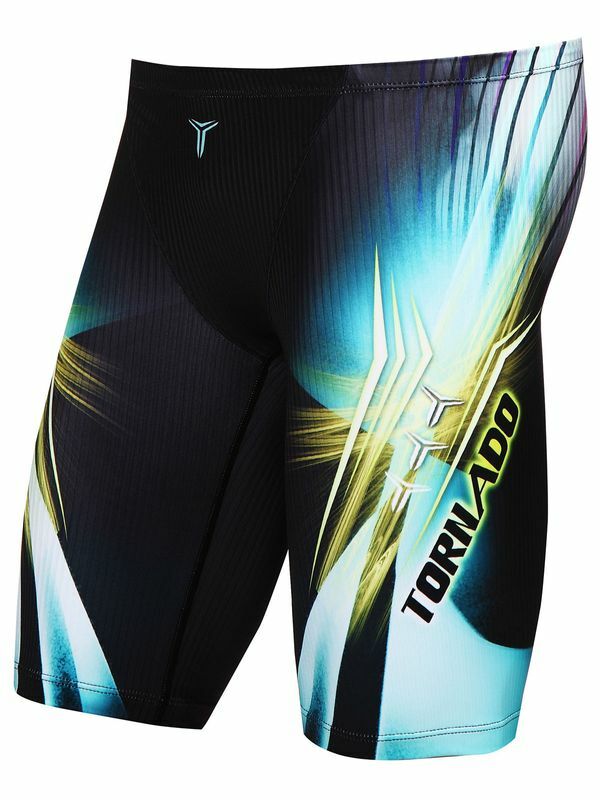 More than just a one of a kind style, the Tornado Burst of Light Men’s Jammers has been made to keep up with you through countless swim training sessions.